Sorry that I haven't posted much this week (blame it on my sister). Nah, my sister has come up to visit me and my family as she lives down South and doesn't get to see us that often. So I've been making the most of having her home for a few days. It's been so nice to have someone to do things with, I've missed having her home. She goes back home tonight though :( and I won't get to see her until Christmas. I've had a great time with her though & I'll be counting down the days till Christmas soon enough. BUT look what she gave me!!!!!! So a big thank you to my sister Rochelle! She's recently started reading my blog and blamed me for her pricey hauls in Superdrug and Boots, oops! Right... 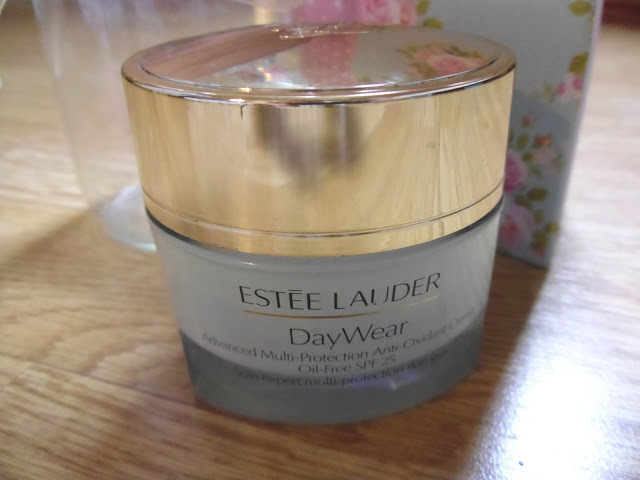 So this little beauty is a moisturiser that you can wear everyday, but it has lots of other little bonuses too. As I suffer with blemishes, spots and dry skin this product is perfect for me. As it's oil free and non acne genic which means it won't cause you to get any spots or breakouts, yippee! When you apply this cream it doesn't feel too heavy on the face like most moisturisers and it absorbs into your skin quite quick. I've found that it's perfect for those days where you just want to wear concealer or even as a foundation base. A few people have commented and said that my skin looks 'is glowing'. So I quickly tell them I've been using this product and not to worry as I'm definitely not pregnant haha! If you suffer with dry skin like me then you'll know that it can make your skin appear older and not so youthful. This cream is so good at keeping your skin hydrated, I don't think I can rave about it enough! I absolutely LOVE it. It has a light scent to it which reminds me of the smell of cucumbers? I apply mine AM and PM and my skin looks so much better since using this product and I WILL go out and re-purchase when I run out. It is retailed at £40.00 but the tub is quite large, you get 50ml. Do you use any of the Estee Lauder skincare products? Let me know if so as I'm looking for some new bits and pieces in my skincare range and don't mind paying that extra bit if it's as good as I've found this to be. & THANK YOU TO EVERYONE THAT'S ENTERED SO FAR, I'VE LOVED READING ALL OF YOUR COMMENT'S. £40?! WHAT?! That is cray! But if it does everything it says it does, that what is £40 in the name of looking beaut?!!! That looks great, I've just done a post on Estee Lauder lol. I really like estee lauder creams. they work for acne prone skins for some reason though they are super rich and moisturizing. 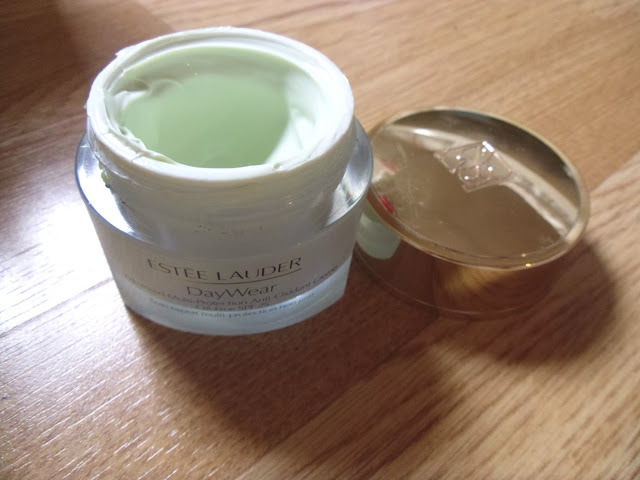 I don't own any Estee Lauder products at the moment for some reason but definitely want to! Lovely blog!